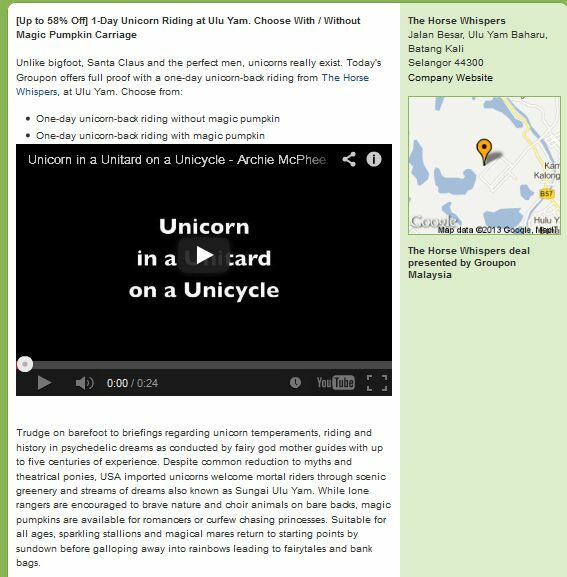 Revel in me...: Are you up for unicorn-riding? 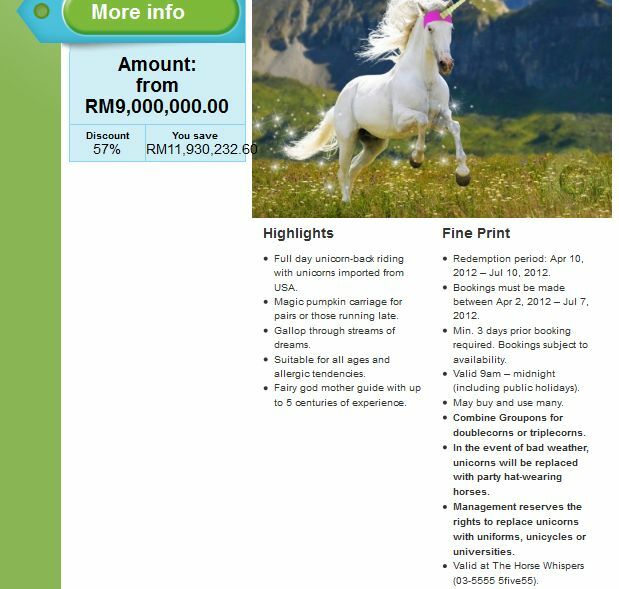 So, it's no secret that I love unicorns. One of my favorite clutches, much to the boyfriend's dismay. 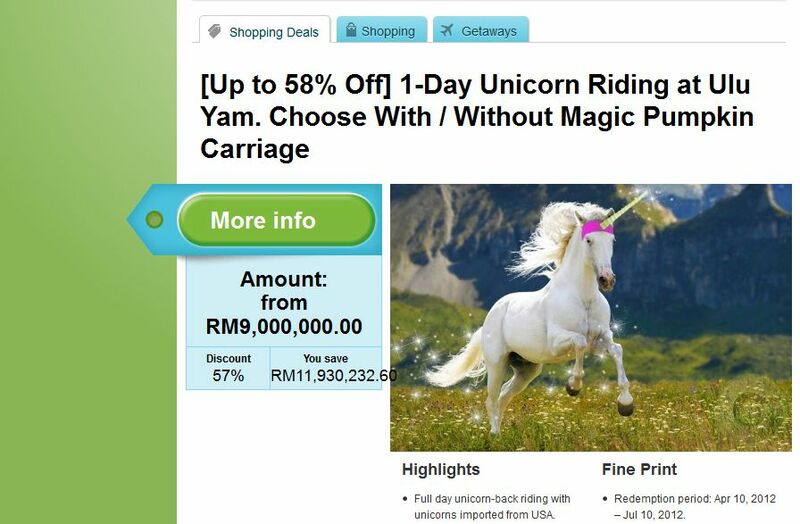 It's a deal posted on Groupon Malaysia, and will only cost you 9million bucks for a magical unicorn ride WTF. 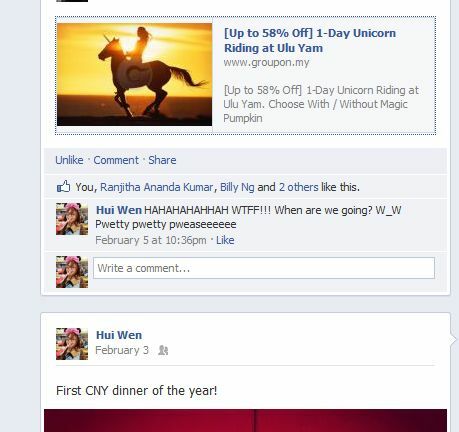 Combine Groupons for doublecorns or triplecorns HAHHAHAH. In the event of bad weather, unicorns will be replaced with part hat-wearing horses. HAHHAHAHHA. This is the video link btw. Anyway, to savor this it in full detail, you can view the deal here. It's absolutely brilliant, in my opinion. I want to hire whoever it is who did the copywriting, hahaha! amelia: Haha ya frigging epic right!